There’s an adage which goes: One man’s trash is another man’s treasure. We often have so much “stuff” accumulating in our workplaces that we don’t use (and never intend to). What if, instead of throwing it away, we gave it to those who would value it more? Check out these 10 super easy ideas to clear out your workplace AND give back this Christmas! If your workplace has a swear jar or some kind of “penalty box" for mildly offensive (albeit sometimes amusing) offenses, instead of using it to buy a caseload of beer at the end of the year, let the coinage finance a good cause or even go towards a particular charity. 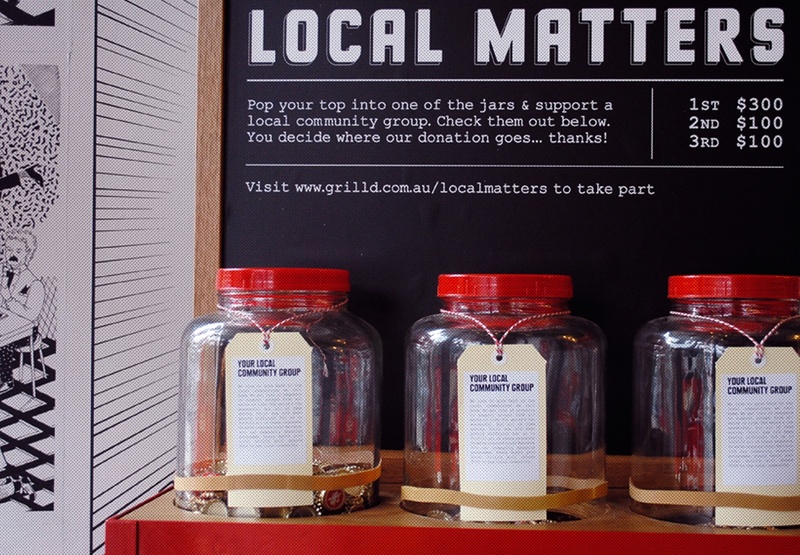 For example, Australian burger chain Grill'd lets customers choose the charity they want to put money towards (see image above). And hey, if you’re feeling really generous, the company could even offer to match the amount in the jar. Do you unconsciously discriminate between “ugly” fruit and the pristine fresh-looking stuff at your workplace? If at the end of the day there are only deformed and oddly shaped fruits lying in the staff bowl, it’s time to take action. 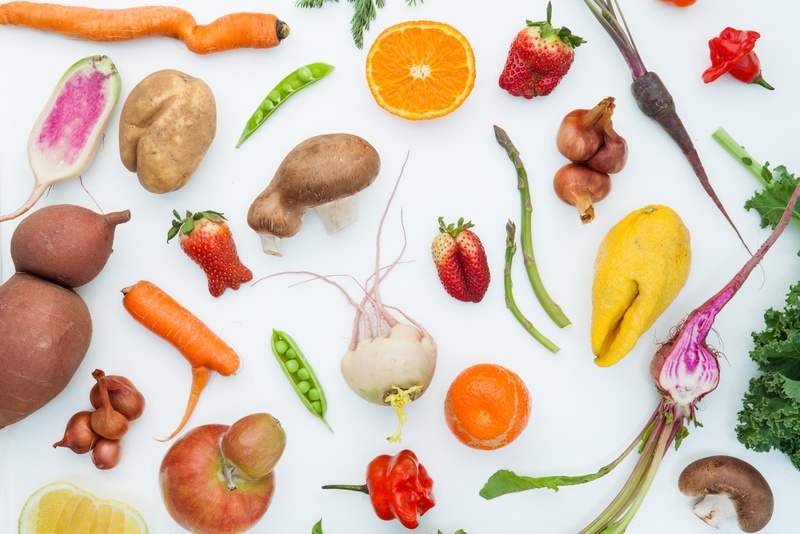 Check out these really creative efforts to spruce up the image of ugly fruits and vegetables around the world: Inglorious Fruits & Vegetables (UK) and Oz Harvest (Australia). You could even start a office compost bin for food scraps to be used for the office plants. Ah, the overflowing kitchen cupboards, streaming plastic containers from every orifice. Are containers are taking over, leaving scarcely enough space to store even a spoon? Place all the containers on the kitchen table and explain that staff either need to come claim theirs, or they are free to a good home. I know I always obtain a few orphaned containers from the annual clean out! 04 – Pens! Notebooks! Paper! I can’t remember the last time I wrote something down with a pen...on an actual piece of paper. Pretty much everything all the work I do involves a computer and the cloud. So if you’re anything like me, you’ve probably got stacks of unused pens, highlighters and notebooks lying forgotten somewhere in your drawers, or in the supplies store at your workplace. Not all workplaces are fortunate enough to be so tech-advanced however. 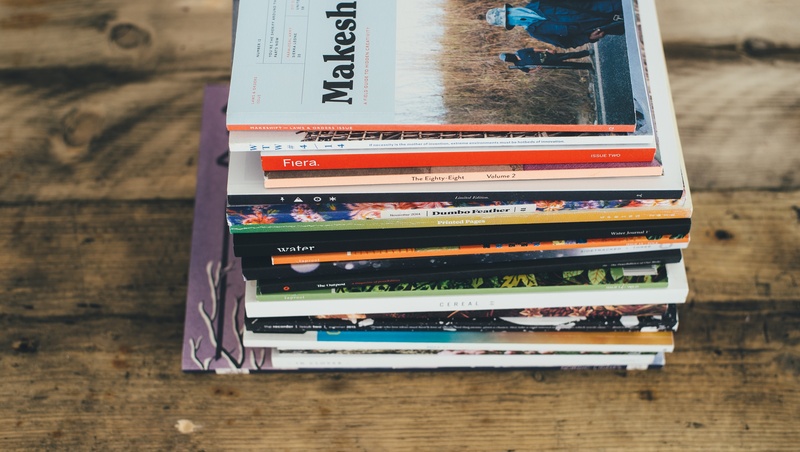 In the interest of clearing your desk/office cupboards out, you could partner with relevant/appropriate not-for-profits to establish a giving programme that works to combat material shortages in schools or offices. No monarch ever said that...but wouldn’t it be great if they had? When I worked at a leading New Zealand creative agency, we had a massive clearout of the (scarcely used) library which revealed magazine issues dating back to the early 2000s! These, along with other reference material were offered firstly to staff and then sent to graphic design and art students at the local University. Trust me, if you’ve got spare stuff, there are plenty of broke students that would happily take care of it off your hands. Let’s be honest, the rare occasions that IT does a clear-out is an eagerly awaited day. Some typical goodies you can expect are: extra cables, old computers and/or screens, graphic tablets (agencies), keyboards, mice and various other accessories. But do you really need that extra set of speakers? Head over instead to one of the many initiatives in your city that will take gladly (and responsibly) recycle your old computer bits. Kitchens keep giving whenever there is a clear-out. Whenever it's pertinent to keep appearances up for clients...this lesser homeware is shoved to the back, never to see the light of day. But those well-worn old chipped mugs and plates, mismatched knives and forks still have a long life ahead of them. Your local Salvation army or Red Cross will happily take them in, or you could get some DIY ideas to help you spruce them up. After all, upcycling is the new thing. But you have none, I hear you protest. If that’s the case, just check out our handy Productivity Christmas Countdown to stay on top of what you need to do. You’ll soon find some nifty gaps where you can schedule time in. Is there a unique skill you possess that your colleagues would benefit from? What about hosting a skill-sharing event at your work? If you prefer the more traditional route, you could always volunteer at a local charity shelter (the more hands available to help, the better). Don’t forget to be creative this Christmas – when you’re throwing stuff out, think about who might benefit. And you can always offer your own time, the most valuable asset of all. Happy Giving!